Depending on your pet and the particular procedure they have had they may recover differently from anaesthesia and surgery. Some animals will bounce out of the clinic like nothing has happened and others need some extra care and attention to get them fully recovered. Multiple medications are often used for sedation, anaesthesia and pain relief. These drugs can take a number of hours to wear off and your pet is likely to be drowsy the night they return home. Their behaviour should return to normal over the next day or two. You will notice a shaved patch of fur on one or both front legs where intravenous sedatives and fluids have been given. If there are bandages placed around the legs please remove them within 2 hours of going home. Your pet may have had a tube placed down their windpipe to deliver oxygen and anaesthetic gas. This is to keep them asleep for long or painful procedures. Occasionally the tube can cause irritation to the throat and your pet may have a couple of mild coughs the night they come home. However, if your pet is coughing continuously or appears to have abnormal or difficult breathing, please contact us or the emergency afterhours service immediately. All animals that have undergone surgery will be given appropriate pain relief. In many cases there will be additional medication for you to continue with at home. Please follow all instructions given by the vet or veterinary nurse, including when to start this medication. If you feel your animal is still showing signs of pain, contact the clinic immediately and we can discuss additional options. Unless advised otherwise, your pet can be fed the night they come home from the hospital. Offer a small meal, about half what you would normally feed, to ensure they don’t overdo it. You can return to feeding a normal amount the following day. Some animals won’t want to eat anything the night they come home from hospital which is often due to the effects of sedation. If your pet still isn’t eating by the following day please contact the clinic. 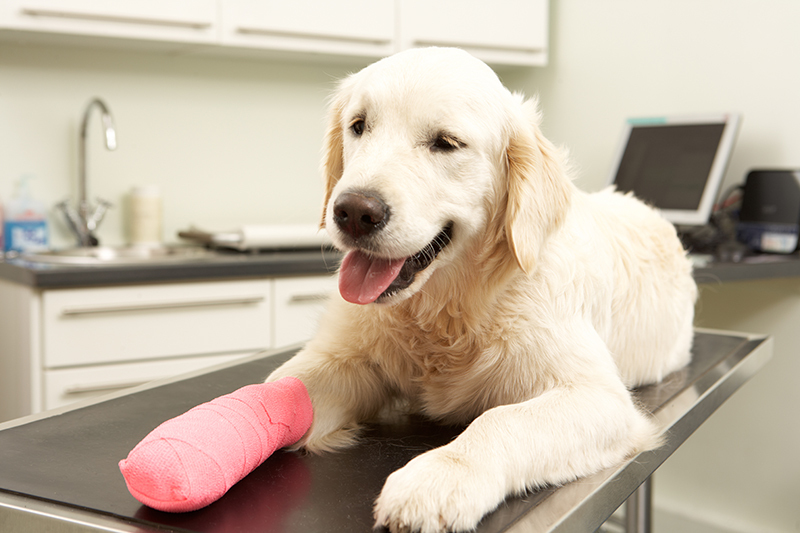 If your pet has had surgery the surgical site will need to be monitored to ensure it is healing as expected. Your pet may have intradermal sutures which are hidden beneath the skin surface and do not need to be removed. Alternatively, there may be external skin sutures that will need to be removed in 10-14 days. In both cases the surgical site needs to be kept clean and dry. If your pet is trying to lick at the area we advise the use of an Elizabethan collar to prevent infection and wound breakdown. If you have any concerns at all about your pet after surgery, please do not hesitate to contact Ascot Veterinary Surgery for advice.